Dan Celia Asks: Is There a Connection Between Global Slowdown, Growing Pessimism and a Globalist Agenda? 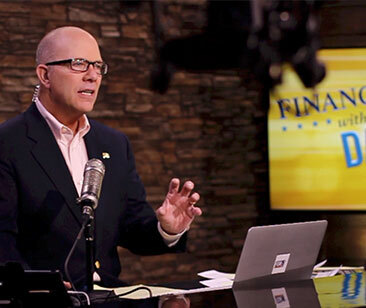 PHILADELPHIA—Nationally syndicated host and biblical stewardship authority Dan Celia today is looking at global economic unrest and making connections to other developments. “As tensions build around the globe, particularly in areas of the Middle East as we hear about Russian threats to Israel, the Middle East is supposedly coming together around natural gas reserves that Israel controls,” Celia said. “Plus, China is talking of economic crises and instructing the Communist Party to be prepared for social unrest, while hoping to avoid another Tiananmen Square of 1989. Organizations like the IMF, OECD, the World Bank and the European Union are predicting a slowdown in the global economy that already seems to be teetering on recession. “This leads me to wonder about the conversations this year at the economic forum in Davos,” Celia continued. “Apparently, there seems to be a determination in the pessimism about world economics. Also, it’s worth noting that there is a large number of globalists gathered in one place. As pessimism is building, participants continue to make matters worse as they talk about slowing down or the moderate pace of the economy compared to previous years. There are only a very select few who are willing to talk about the potential of global growth as opposed to a likelihood of continued slowdown. Celia discusses these and other global and economic headlines on his daily, three-hour program, “Financial Issues,” heard on about 650 television and radio stations nationwide and reaching millions more on several television networks. Through the program, writing and daily interactions, Celia, who leads Financial Issues Stewardship Ministries (FISM, www.FinancialIssues.org), has helped people of faith honor God with their finances and be free from a fear of money. To interview Dan Celia of Financial Issues Stewardship Ministries, contactMedia@HamiltonStrategies.com or 610.584.1096, ext. 105, or Patrick Benner, ext. 104.